On June 30, 1978, Pittsburgh Pirates’ right fielder Dave Parker collided into Mets’ catcher John Stearns at home plate. 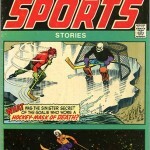 The play left Parker with a fractured jaw and cheekbone, sidelining him from any action. Parker didn’t return to the lineup for a little over two weeks, but coming back would require a little help from a goalie mask. It wasn’t Parker’s first concept. 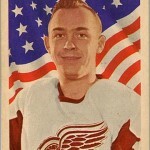 Initially, he a toyed with clear Plexiglas model like the kind Rip Hamilton wore when he played in the NBA. 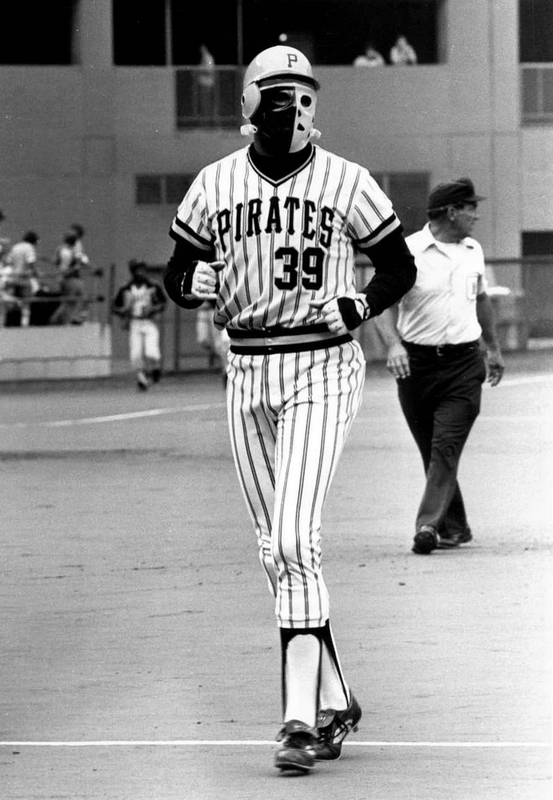 The hockey mask made its one and only appearance during Parker’s return to the baseball diamond on July 16, 1978; an 11th inning pinch hit opportunity. In order to wear his batting helmet, Parker had the mask cut off at the top. He was intentionally walked and kept the mask on while he rounded the bases. Parker’s plate vision was impaired wearing the mask, and the experiment ended just as quickly as it started. 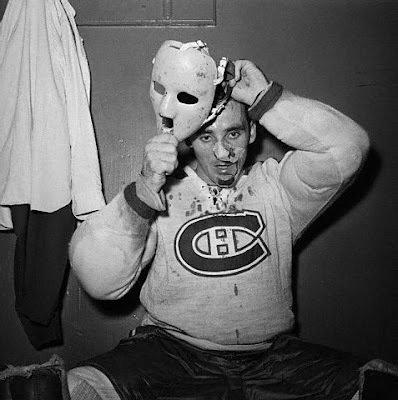 The next stage in masks would lead Parker to try various football helmets and facemasks, much in the same way Bobby Hull wore a football helmet facemask to protect his broken jaw during the 1968-1969 NHL season. 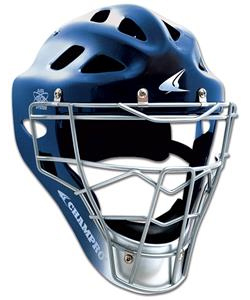 The introduction of the Hockey Style Mask (HSM) in 1996, as an alternative to the catcher’s traditional two-piece mask, really brought hockey and baseball together. 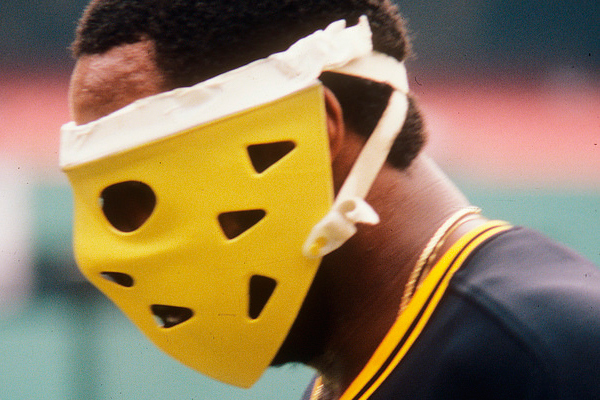 While goalies wore baseball catcher masks sporadically during hockey’s early days, it wasn’t until the late-1990s when catchers would use goalie masks. 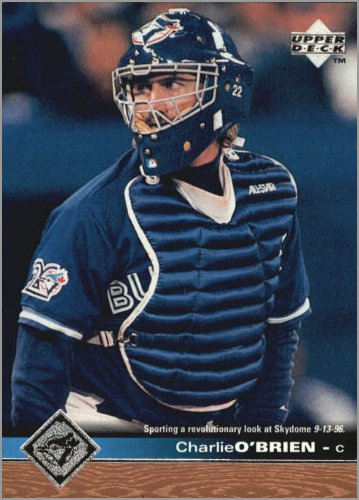 Toronto Blue Jays catcher Charlie O’Brien innovated the new mask in 1996 because he was frustrated by the pain from getting hit in the face. 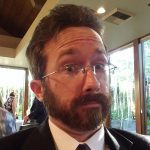 “There are times when you get hit with a 90-mph-plus ball and you lose sight of what you’re doing — even where you are — for a while,” O’Brien told Popular Mechanics in 2004. On a typical night, while watching a hockey game, a light bulb went off in O’Brien’s head. A goalie mask might be the perfect replacement for the old, outdated traditional two-piece headgear. 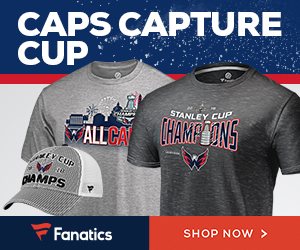 A goalie could just brush off getting hit with a puck, which is much harder than a baseball. For instance, a ball will compress under impact, whereas a puck does not. Charlie O’Brien’s 1997 Upper Deck card mentions his “revolutionary” masks debut on September 13, 1996. 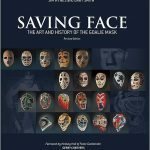 O’Brien developed the mask with Van Velden Mask Inc., of Hamilton, Ontario. Their brainstorming efforts gave birth to the new design, dubbed the All-Star MVP. Although the new design was ready to go in spring of 1996, MLB did not approve it until September that year. 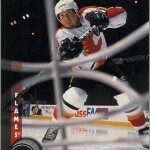 O’Brien debuted his new mask at the Toronto Skydome on Friday, September 13, 1996. While not the same style of fiberglass mask that Parker wore nearly two decades ago, it was still uncanny timing for a goalie mask to appear in a baseball game on Friday the 13th. 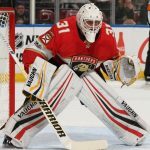 The new mask took only its shell construction — a seven-layer sandwich of fiberglass, Kevlar and a cornucopia of other materials — from the hockey mask. Besides the layers of protection, the new mask also increases the catcher’s vision so that taking the helmet off to catch a pop-up became unnecessary. 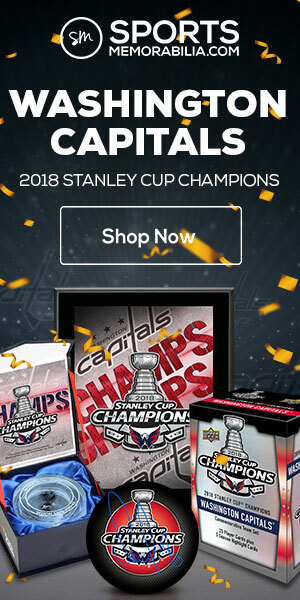 According to O’Brien, “You usually end up stepping on it anyway.” The Hockey Style Mask uses angles to deflect incoming balls as opposed to the traditional masks whose flat surface only invited devastating hits from an errant fastball. It’s a great concept for catchers. 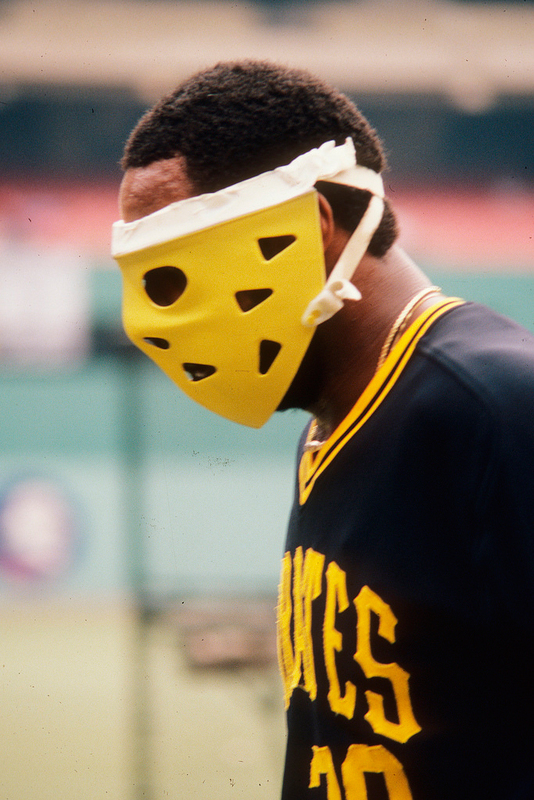 The MLB should make catchers wear it. It’s for their benefit. I see more umpires wear it now they seem cool with it. The only problem is that it’s too hot under that mask. You also have creative art work for the catchers just like the goalies. The umpires have traditional black.